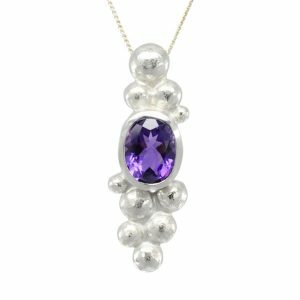 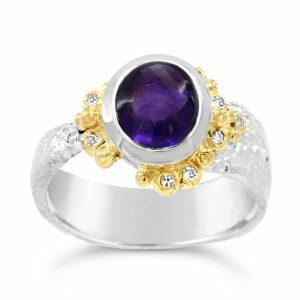 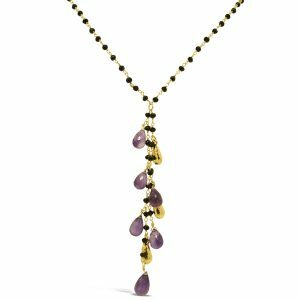 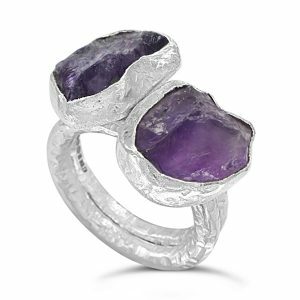 The amethyst is extravagance in violet, an apt birthstone for the month of February, particularly if there is to be plenty going on in the way of carnival celebrations. 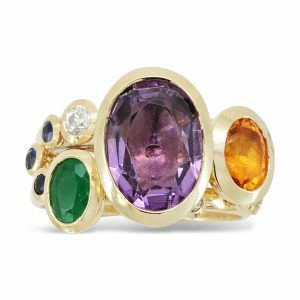 For thousands of years, this striking representative of the quartz family has been a jewel coveted by princes both ecclesiastical and secular. 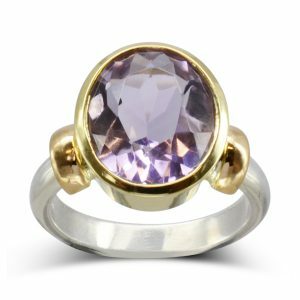 This most beautiful of all crystal quartzes has its hardness, refraction and its weight in common with the other quartzes, but the crystal structure is different, it is stratified, which causes areas of varying colour intensity to come about. 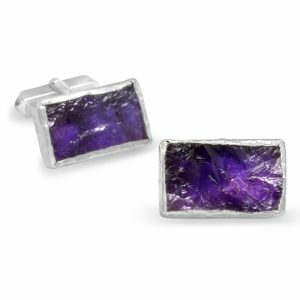 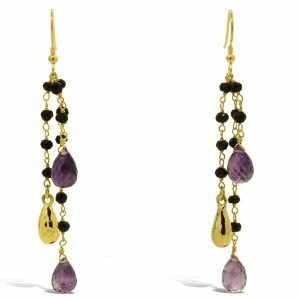 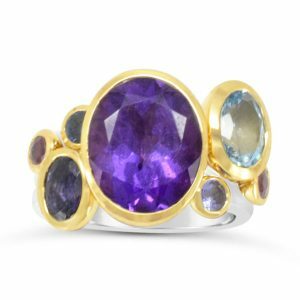 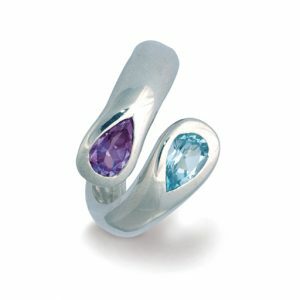 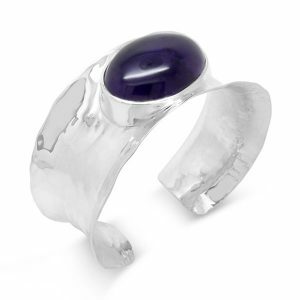 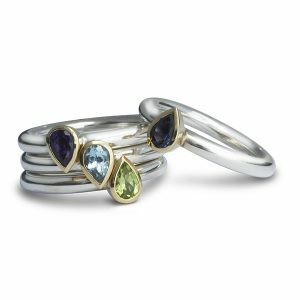 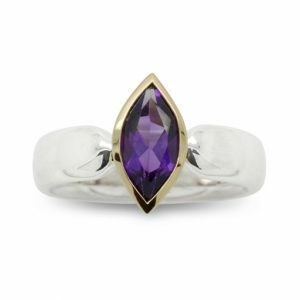 This explains why there are relatively few large cut amethysts of an evenly distributed dark colour, in spite of its having been found so abundantly in all parts of the world. 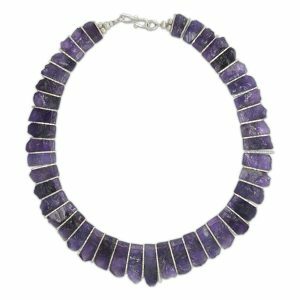 We have a large collection of cabochon and faceted Indian and African amethyst for you to choose from for use in that special commission or to be made up into exciting pieces for our Gallery. 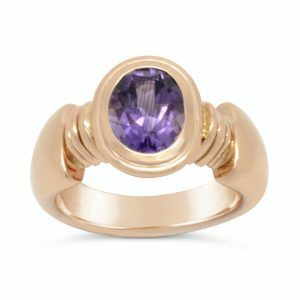 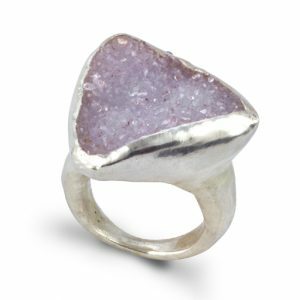 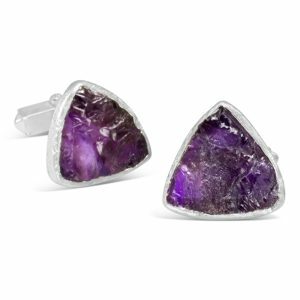 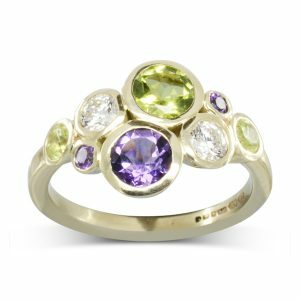 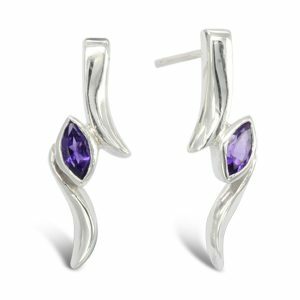 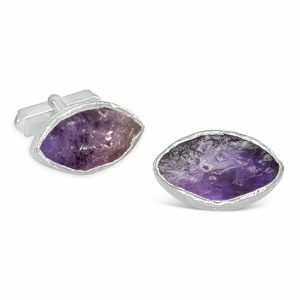 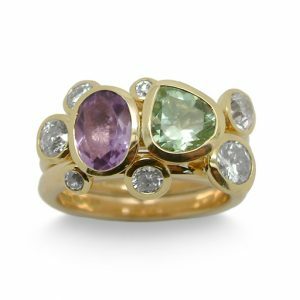 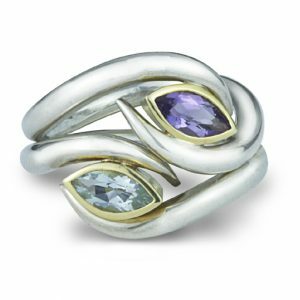 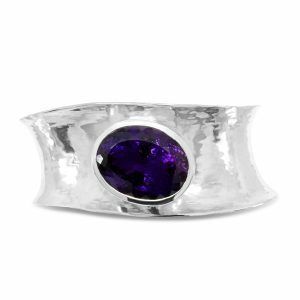 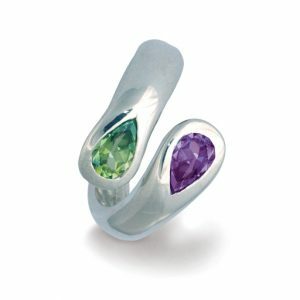 Amethyst also comes in a pale green colour which you will see in this section, it combines perfectly with the strong purple that we normally associate with amethyst.